A little over a week ago, a banner traffic exchange was added to Kris Clicks! This integrated new feature opens up many opportunities for both those who are running ads with purchased credits as well of those members who are looking for a way to run their banners for free. 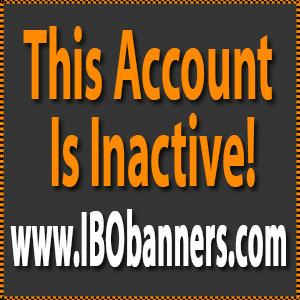 The banner traffic exchange is simple to use! Once you log into your Kris Clicks account, click on EXCHANGE tab. Each time you click on a banner and view the website for 15 seconds, you earn 1 credit. These credits can be used to run your own banners! Now you can click to earn or purchase credits, it's up to you! If you don't want to participate in the banner exchange, just click on SETTINGS, and uncheck the Exchange box. Click HERE! It's free to register at Kris Clicks and all new members get 100 credits to get started! I will continue to add to this list as the testimonials come in, below are just some of my happy customers! More good news! Kris, our personal results are UP significantly this week and I am giving you the credit. We do not have tracking URLs, but we know that KrisClicks is responsible because it is the only change we have made! Quality is way up also, and here is why we think that is true. After receiving their information, we send a "subscribe link for our AWeber Travel Income Training"
This week so far we have received 32 new leads, and 29 (over 90%) of those have already reclicked and subscribed for training! Based on our past experience that is outstanding! NORMAL is only about 20%, so whatever you are doing, keep doing it! I am having success promoting The Viral Team Builder and iCoinPro. Remember that you earn 25% of all referral credit purchases! Kris Clicks paid out some nice commissions for April/May! It's super easy to earn and no purchase is necessary! Now... drum roll please! How cool would it be if you could send solo ads with Kris Clicks? Yay, right?